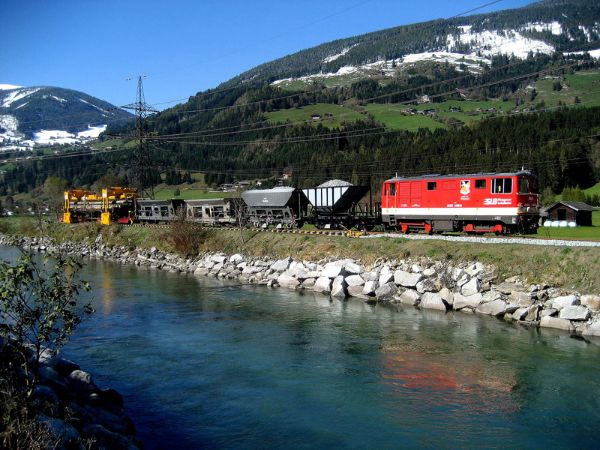 The narrow gauge railway through the heart of the Pinzgau region first opened in 1898. The line leads through the long, spacious valley from the lake-side resort of Zell am See to the mountainous village of Krimml, which is renowned for its spectacular waterfalls. 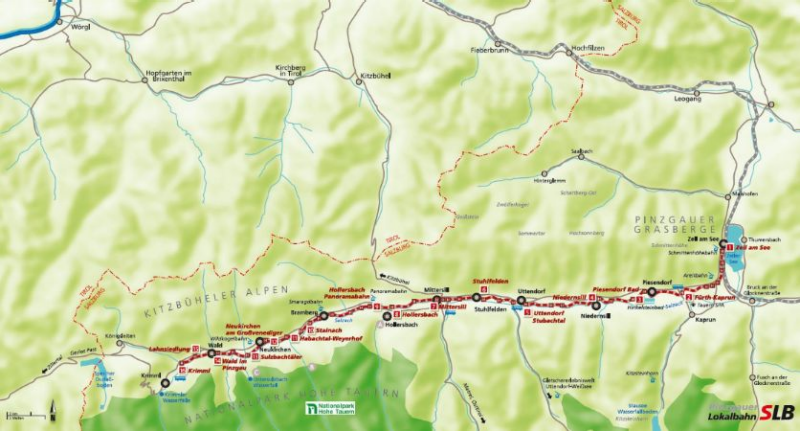 For much of the way, the tracks follow the River Salzach and also traverse the Hohe Tauern National Park. Along the way, numerous towns and most major ski lifts are served by the railway, thus providing ideal connections to the region’s touristic attractions and skiing facilities. Following the massive floods in 2005, the comprehensive reconstruction of the tracks between Mittersill and Krimml started in summer 2009 and was completed by September 2010. Since then, the entire 53 km long route has been served by a combination of modern service trains as well as historic steam and diesel locomotives. 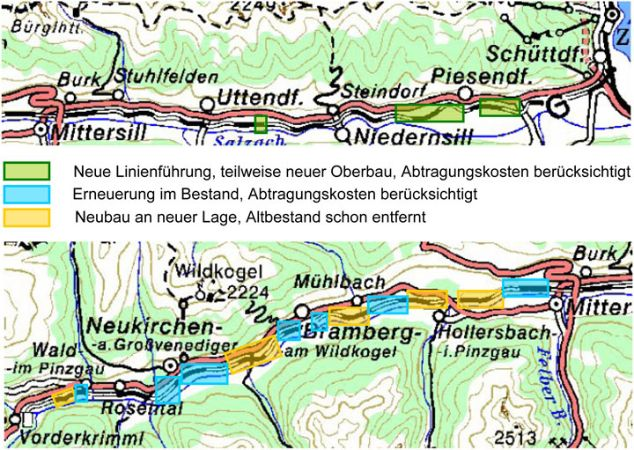 View the route of the Pinzgauer Lokalbahn on a larger map (interactive in Google Maps). When the State of Salzburg took over the Pinzgauer Lokalbahn in July 2008, rebuilding the western half of the line from Mittersill to Krimml was a major part of the new concept. Severe flood damages in 2005 had caused the Austrian Federal Railways (ÖBB) to reduce services and merely run trains on the eastern section between Zell am See and Mittersill. In mid December 2009, regular trains were once again able to run between Mittersill and Bramberg, on the first 11 km of rebuilt track. Four engineers and 25 construction workers successfully completed this initial project during a seven month period. Aside from new, welded tracks and modern concrete sleepers, four major bridges were rebuilt and the safety signals at level crossings were enhanced. Once the rebuilt railway had reached Bramberg, the construction team pressed on and tackled the remaining gap to Krimml. 14 km of new tracks had to be put in place in order to reach the western terminus of the Pinzgauer Lokalbahn. Thanks to favorable weather conditions and a mild winter, significant works progress was quickly achieved and a timely completion of the project became possible. Since 12 September 2010, regular trains have once again reached Krimml. The landmark re-opening of the line and the efforts of the entire team from SLB Pinzgauer Lokalbahn and its contractors were celebrated on Saturday 11 September 2010, by ceremoniously affixing the last track spike and cutting a red ribbon. The rebirth of the railway, for the benefit of all, had become reality! During the reconstruction of the narrow gauge railway, 10 km of the line were built new from scratch, while 15 km of tracks were repaired. A step-by-step approach allowed all the work goods to arrive by rail and enabled continuous progression. A total of 50 km of new tracks and 40 000 concrete sleepers were installed. 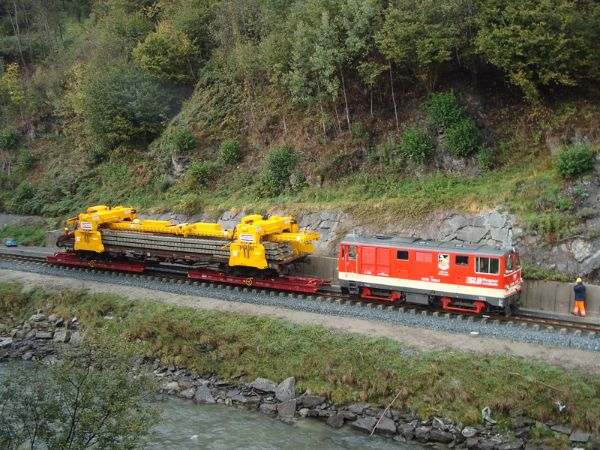 A special crane was used to fit the sleepers, while the Zillertalbahn in Tirol loaned SLB several of its narrow gauge goods wagons, to enable the transport of new ballast by rail. As part of the landmark reconstruction of the Pinzgauer Lokalbahn, every effort was made to make the infrastructure of the narrow gauge railway “future-proof“ and more resistant to potential flooding damages in years to come. Through the partial realignment of certain track sections and the favorable positioning of the tracks in elevated places, enhanced protection measures were implemented. The modern railhead, with its concrete foundation, concrete sleepers and thick ballast bed is intended to better withstand any kind of water damage. 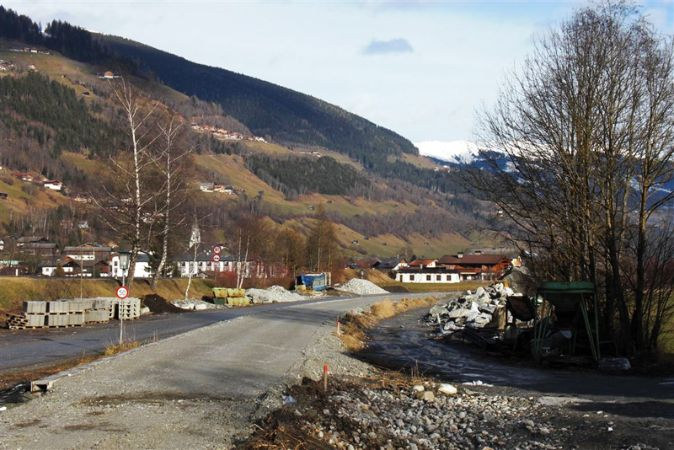 Thanks to an effective and efficient organizational process, the entire reconstruction project was completed at a cost of only 32.3 million Euros, which is excellent value for money and represents a major investment in the development of the entire Pinzgau region.